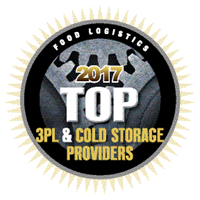 Food products that need storage in temperature-controlled food warehouses call for specialized 3PLs who understand the physical and regulatory requirements for these products. When searching for a 3PL for food products, here are 6 things you should look for to ensure you have the right partner. Every food shipper has its own requirements for stock rotation and maximizing shelf life. Some are simple, some can be complicated and the requirements could be different for different SKUs and customers. Your 3PL's system must be able to handle any eventuality. The system should tell you the remaining shelf life of every product in the warehouse, and automatically flag those approaching their expiration date. Ask to actually see the capabilities you require. Some basic WMS systems or home-grown systems may not have the functionality you need. In the event of a recall or other product problem, you must be able to act quickly and decisively to trace identified lots. Don't just take a provider's word that they can do it. Put their systems to the test. Have them show you the results of mock recalls and walk you through hypothetical examples of a recall event. If it's clear they don't do mock recalls, they may not have the focus on food products that you require. Evidence of pest infestations can cost you big money if product must be discarded. Choose a food warehouse 3PL that can provide clear evidence of consistent superior ratings for cleanliness. AIB International is one agency that does a thorough inspection job during its surprise audits, and has a rating system. Are those rating results prominently displayed at your 3PL's facility? It's also a good idea to check the documentation on pest control inspections. Every time a pest control company visits, finds something, or applies something, that activity is logged. Lots of facilities look clean during a walk-around. It's always safest to review the records. Most 3PLs will say they have an active logistics quality program. Here it's important to peak under the covers. Ask enough questions and you'll discover if the program is real or just window dressing. What examples can they share about KPI improvements over time? Is it clear that "in-the-trenches" operations staff have a knowledge of root cause analysis and lean problem solving methodologies? Is there evidence of ongoing training on sanitation and key processes? Food manufacturing is a relatively low-margin business where every penny of operationg cost reduction is meaningful. Choose a 3PL warehouse that does business with other food companies shipping to the same retail customers as you. For SMBs, in particular, these outbound freight consolidation opportunities can make a huge dent in your LTL costs. Food products flow into mass merchants and grocery chain who sometimes want products configured in specific ways. Maybe that want "variety packs" created that combine different flavors into a new SKU. Or maybe they want an end-cap created for a promotion. Ideally, you want to do this final packaging right in the warehouse, otherwise you're incurring the time and costs to ship products to an outside co-packer. Look for 3PLs with the experience and equipment required for final packaging. Invest the time up-front to choose a food warehouse provider that can deliver the specialized capabilities your products require. The cost of switching providers can be significant, not to mention the costs related to regulatory fines, spoiled products and lost customer confidence that can come with making the wrong choice.